We’ve had another year in our house. That’s another year of turning it in to our family home. It has been a quieter year compared to year 5 when my husband and father in law built walls downstairs. The biggest reason for the slower year, is we’ve been busier than normal being social, from weekends with friends, parties to concerts (maybe these have also contributed to me being a poor blogger as I haven’t written about most of them). My husband has planned and installed ceiling spotlights in our new study. 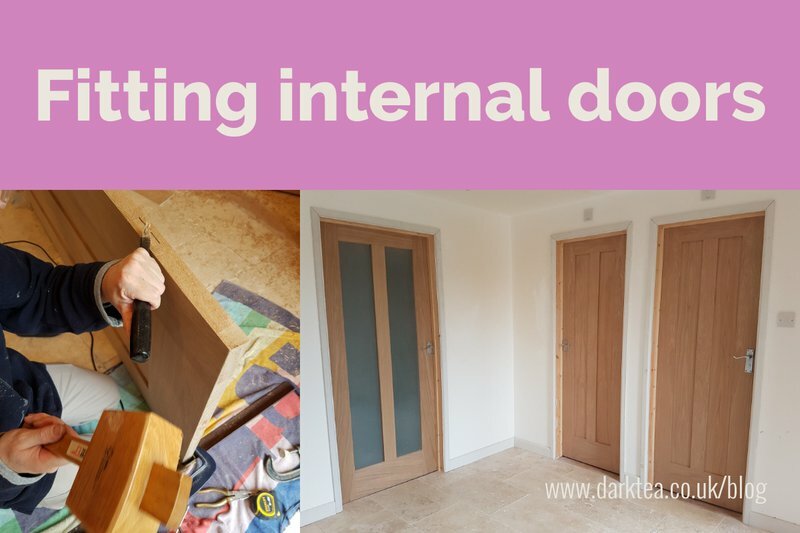 He has also fitted and hung the study door, as well as the utility room and shower room doors. There has been progress on lots of small tasks, such as sealing shower room tiles, fitting skirting boards. This means these rooms are almost ready to use. and will make a big difference to how we use the house. We’re continuing to make progress on the house renovation. This evening I’ve been cleaning grout off the tiles shower room wall. This is my contribution to the fabulous work my husband and father in law have done plumbing, tiling and fitting the shower room. 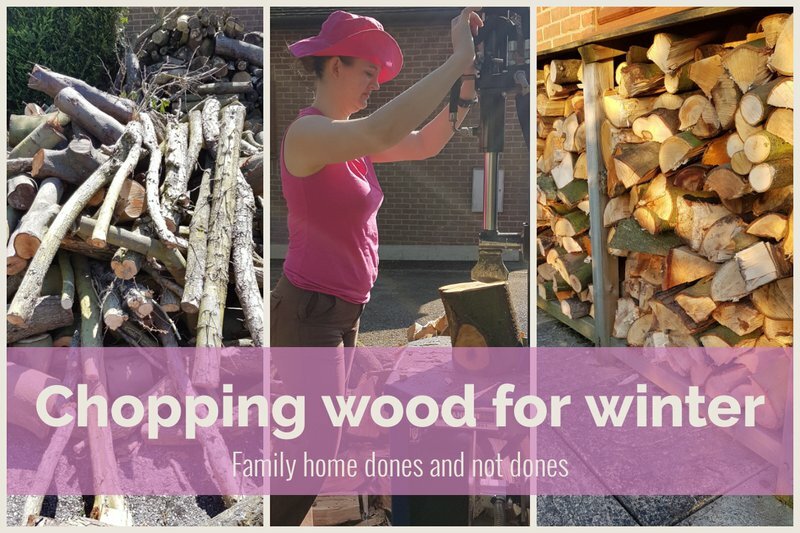 Someone kindly gave us a large amount of wood, however it required a lot of chopping to use it in our wood burner. To reduce the physical impact we hired a motorised log splitter, and it made a huge difference. We cut and split two years worth of wood in one weekend. We currently have two focuses 1) finishing the study and 2) changing from oil to another source of heating. The study is almost finished and we will be able to order the carpet soon. The big question is what do we put in there once it is complete. It would be lovely to furnish it as the study we want, however is that practical when at some point all four of us will need to sleep in there, when the major renovation work takes place. Our central heating runs from an oil boiler meaning we have an oil tank near the house. The tank will need replacing soon so we’ve decided to change to a different heating source. Based on the research we’ve done, it looks like we’ll move to gas, as it is available, it is more efficient and should be cheaper. However, we are are also considering more sustainable options. So although its been a slower year on the house, we have still made progress. I is important to remember that any, and all, progress moves you closer to your goal and should be celebrated. It is absolutely okay to move at the speed you want. Do you have plans for your house this year? What would you love to do to your house? What do you prioritise over your house?